Elegant, transparent coffee table by Philippe Starck. 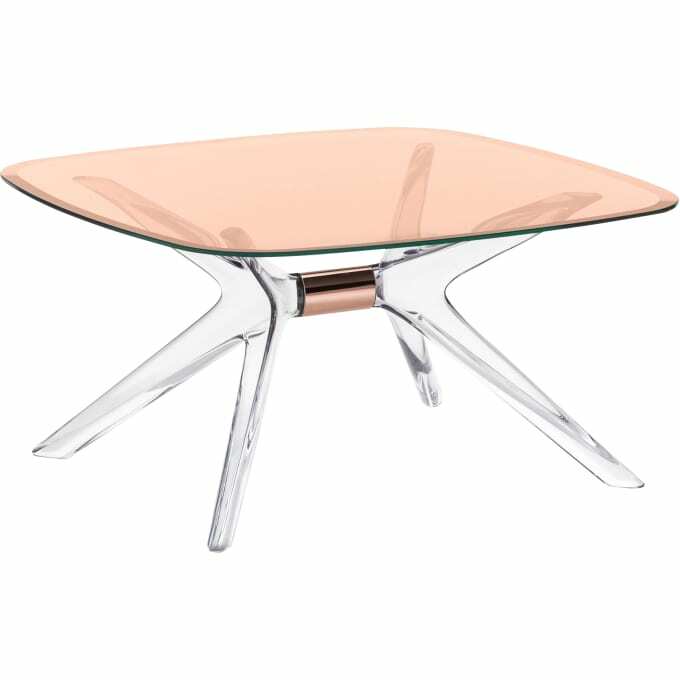 Blast - a coffee table designed by renowned designer Philippe Starck - is a further development of Kartell's popular Sir Gio table. The construction made of thermoplastic technopolymer and layered glass is very robust and stable despite its almost fragile appearance. The lightly coloured table top in combination with the metallic aluminium band wound around the table frame sets discreet but eye-catching colour accents. You can choose between glossy chrome-plated or high-gloss bronze. Do you have a question about "Blast (80x80cm)"? How can we contact you?